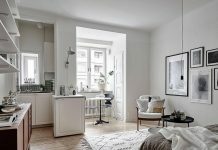 Roohome.com – Beautifying your own apartment with something new of decorating or designing might be the best idea for you. 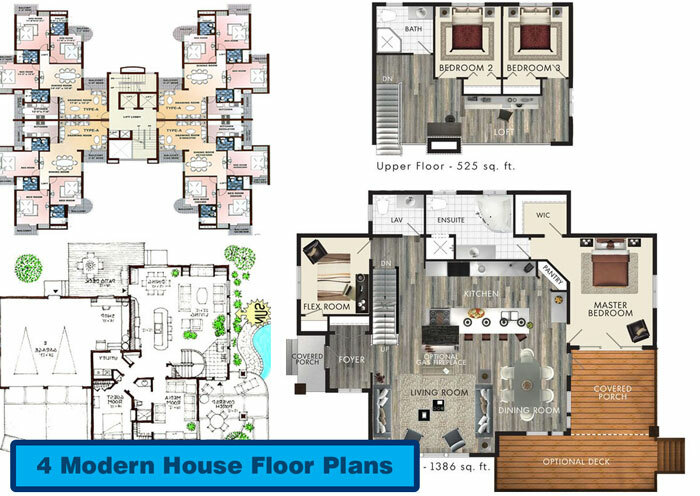 Try applying a modern apartment design which is combined with contemporary interior ideas in it. The design brings a serenity into your apartment as well as your personality. 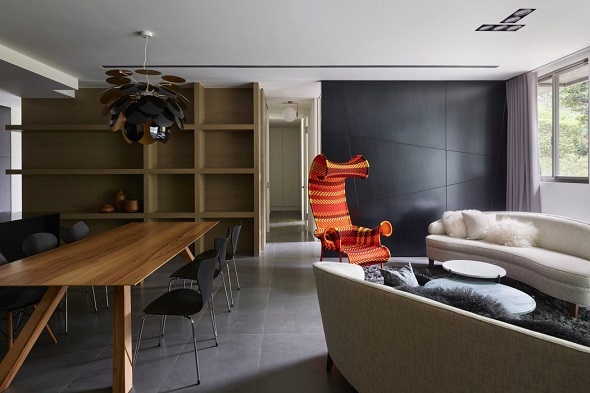 The designer creates an ordinary in the beginning becomes an incredible apartment by arranging the interior perfectly. 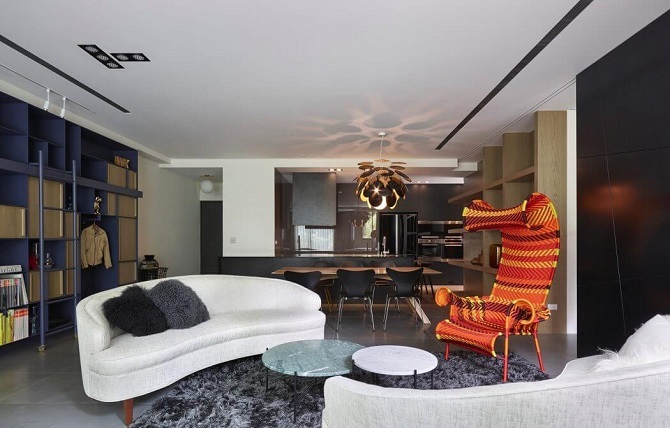 Do you want to see how the designer pour contemporary interior ideas into a modern apartment design? Let’s take a look. Do you like having a large footage of an apartment? This modern apartment design is suitable for you. Why? 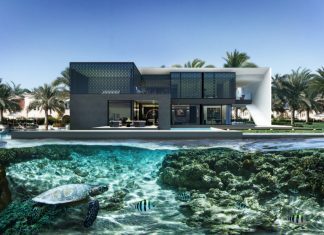 because the design uses contemporary interior ideas in it. Firstly, Take a look how the designer creates an L-shaped open floor in the living room. Ganna Design chooses black and white as the basic colors of the apartment. The designer utilizes a large living room by placing a large wooden display cabinet in order to beautify the area. Besides that, Ganna Design decorates the living room with contemporary interiors. Two white arm couches along with two coffee circle table on the gray furry rug can be the best choice for you. Due to an L-shaped open floor in the living room, the designer creates a modest kitchen along with the dining table around of it. The designer beautifies the dining table with a wooden dining table along with black dining chairs as well. Besides that, the designer pours apartment interior design ideas into this dining table. 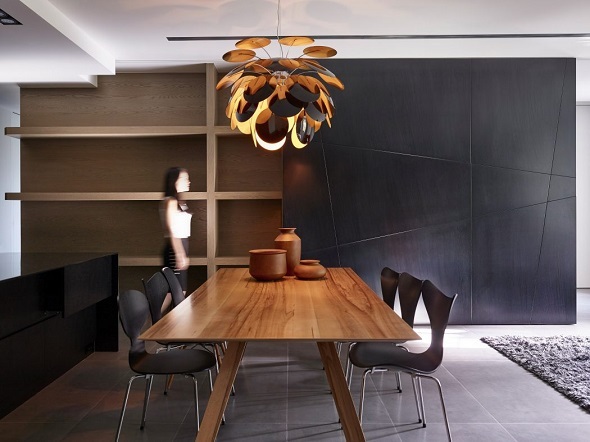 The examples of the interior such as a unique pendant light above the dining table and a wooden display cabinet across the dining table. Meanwhile, the kitchen is decorated with a black kitchen set. The designer does not place many interiors or decors in the kitchen in order to minimize the use of L-shaped itself. Ganna Design one of the apartment design ideas which are applied into bedroom and guest bathroom. Either bedroom or guest bathroom is decorated with a simple decorating to evoke a calm atmosphere and serenity in it. 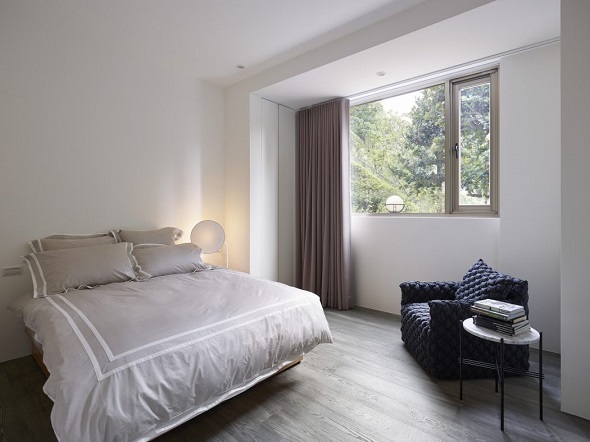 For the bedroom, the designer utilizes a single window to spread a natural sunlight into the bedroom. The bedroom is painted with a white color. This color is as simple as the guest bathroom. 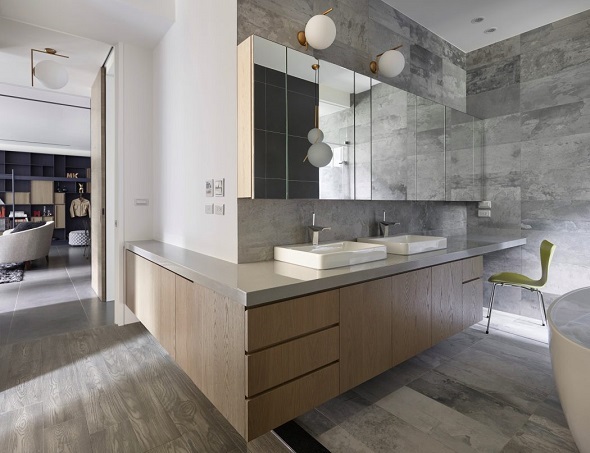 For the guest bathroom, the designer decorates it a marble texture with black, white, and gray colors. 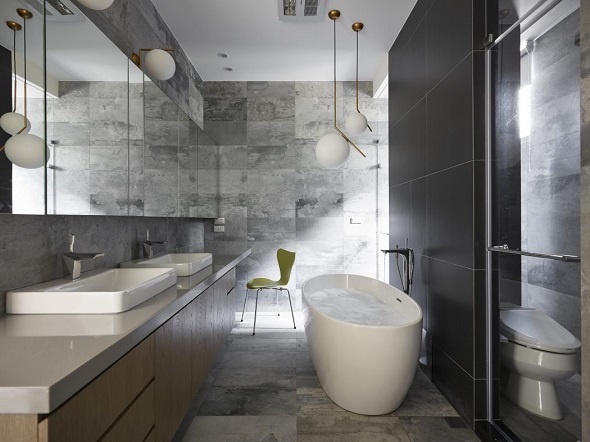 Besides that, the designer uses a contemporary interior in order to make the guest bathroom more stylish and brilliant. Applying a modern apartment design with contemporary interior ideas will bring happiness to you as well. 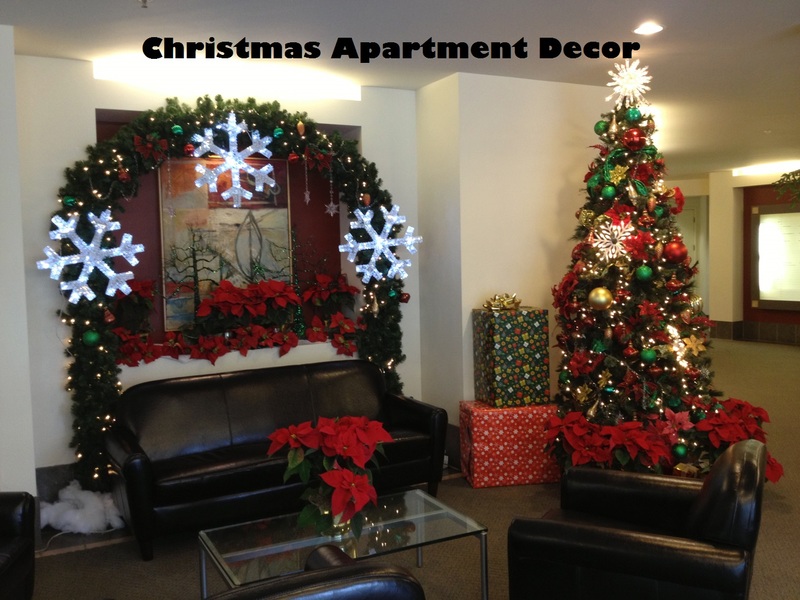 Try beautifying your apartment start from now on. If you want to see other designs, just visit and check here. Have a nice day!